Toro’s popular TITAN® HD 2000 Series zero-turn mowers now feature the innovative MyRIDE® suspension system. This system features a suspended operator platform that delivers three inches of travel and helps isolate the operator from impacts, bumps and vibrations. A five-point adjustment on the rear shocks allows operators of all sizes to customize the ride to their comfort preferences. Now customers can get more done thanks to the MyRIDE suspension system. 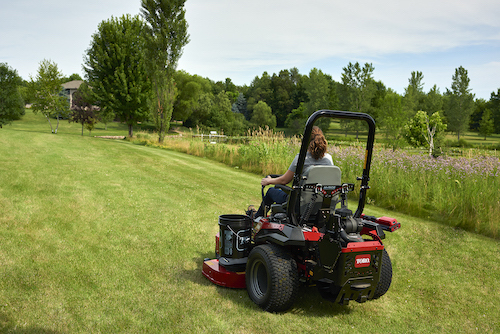 TITAN HD 2000 Series mowers with MyRIDE are available from Toro’s trusted network of dealers and distributors. For more information about Toro products, visit www.toro.com. Camso, the Road Free company, is a world leader in the design, manufacturing and distribution of off-road tires, wheels, rubber tracks and undercarriage systems to serve the material handling, construction, agricultural and powersports industries. It employs more than 7,500 dedicated employees who devote 100% of their effort to 11% of the global tire and track market—the off-the-road market. It operates advanced R&D centers and manufacturing plants in North and South America, Europe and Asia. Camso supplies its products to leading original equipment manufacturers (OEMs) under the names Camso and Solideal, and distributes its products in the replacement market through its global distribution network. Click here for more information or call 1-844-CAMSOAG. 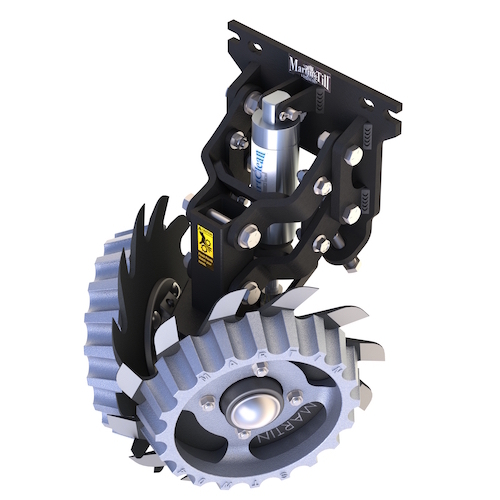 Growers that are looking for a systems approach to agriculture will benefit from fresh ideas built into this high speed disc and every Farmet implement for tillage and agricultural sustainability. Starting from the Ultra High Strength Steel Technology, the machine frames are formed out of sections of this advanced material, having superior strength in comparison to common structural material of good quality. The result is reasonable weight and much longer service life in the most demanding operating conditions. Farmet's high speed compact disc helps the residue and soil work together in creating a microbiologically sound system that is sustainable for years to come. For more information, please visit www.Farmet-USA.com or visit booth #1247 at the Farm Progress Show. The right gear can make a big difference to your bottom line. SMA prides itself on offering you the best products. We have hunted all over the world and are pleased to announce that we have found the BEST with our new partner, AGRITUF. 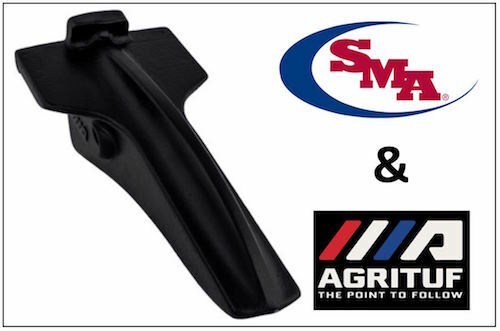 AGRITUF’s chrome tillage parts are the longest lasting in the world, thanks to their unique chromium blend, single piece casting and innovative reduced-wear design. They’re built to handle faster speeds and tougher conditions, which means you can work smarter and significantly lower your cost per acre. Come see us to learn more about these long-lasting points. When it comes to row cleaner performance, the new Martin-Till® Compact Clean Ride (CCR) unit proves you can pack a lot into a little space. 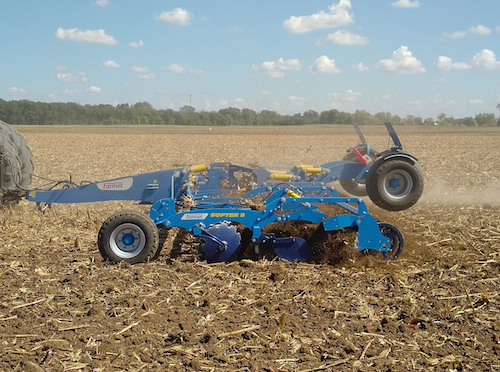 Measuring less than 15 inches from the face mount plate to the front of the unit, its compact design allows for fitting on planters with nitrogen coulters or where full-size row cleaners can’t be used due to planter folding and unfolding issues. Parallel linkage provides for easy floating action, especially when paired with Martin-Till’s advanced Smart Clean™ System. And, like all Martin-Till attachments, it’s a cinch to install. 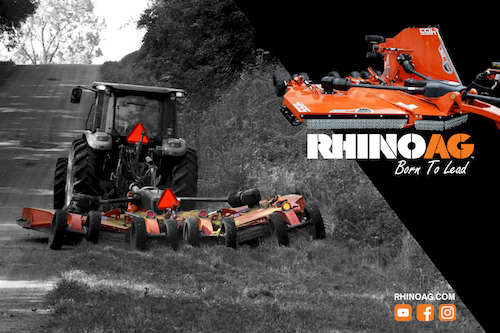 RhinoAg is a leader in the agricultural equipment industry with emphasis on tractor-mounted rotary cutters, rear blades, hay-tools including rakes and tedders, post hole diggers, finish mowers, flail grass mowers, rotary tillers, boom cutters and landscape rakes. Three-point, pull-type and semi-mount units are available. RhinoAg equipment is used in agricultural, commercial, industrial mowing applications, landscape preparation, roadside maintenance and many other farm and ranch applications. Rhino products are utilized to clear brush, maintain pastures and farmland, shred crops and till fields.